Fond of more than a wee dram, Owen McShane may be the only person ever to build a jail, go out on a bender to celebrate its completion, get arrested, and have the honour of being the first inmate! It’s believed McShane came to a mysterious and untimely end in the 1870’s. 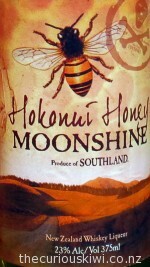 The Hokonui Moonshine tradition started with the McRae family from Scotland. In 1872 widow Mary McRae arrived in Port Chalmbers with her four sons, three daughters, and a box marked ‘household goods’ containing her recipe for whiskey and a copper and brass still. 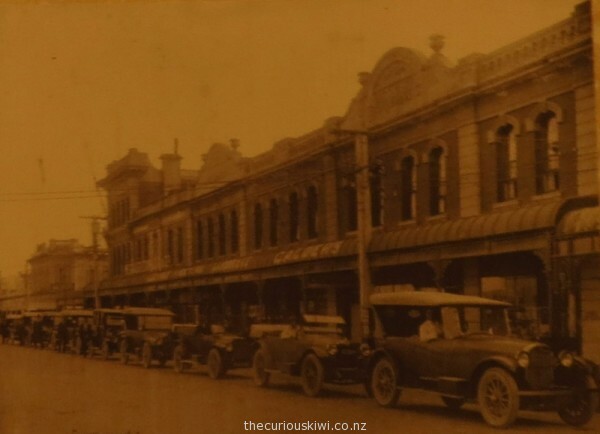 The McRae’s settled at the base of the Hokonui Hills near Gore and as Mary had done in Scotland, she supplemented the family’s income by illicitly distilling and selling whiskey. In Scotland women traditionally made whiskey but Mary McRae broke with that tradition and also taught her sons. The McRae family gained a good reputation as distillers, their emphasis was on quality rather than quantity, and they only supplied whiskey into homes where they believed it would do no harm. There are some good stories to read about how the McRae’s kept themselves on the right side of the law. At the same time as the McRae’s were making whiskey there was something else brewing in New Zealand – a campaign for Prohibition. 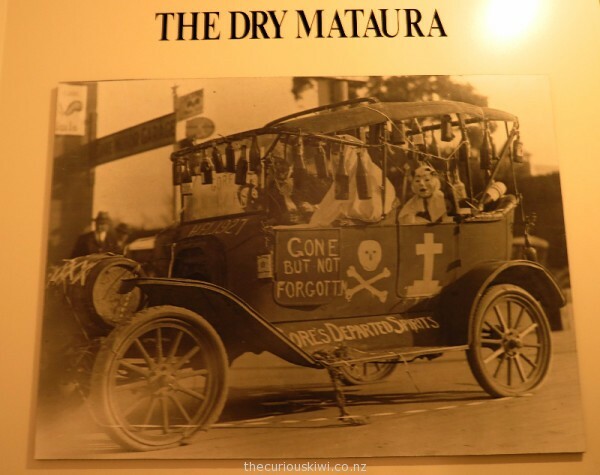 In 1902 Prohibition was passed in the Mataura Electorate and it led to the closing of 15 licensed hotels, and 51 ‘dry’ years. Although in reality the area was far from dry, illicit distilling of whiskey increased, and alcohol could still be brought into an unlicensed area by following strict rules, or by finding ways around them. A photo shows taxis lined up on Gore’s Main Street in 1921 waiting to take workers 11 miles to the closest ‘wet’ hotel in Mandeville. The workers were keen for a session of binge drinking, otherwise known as the ‘six o’clock swill‘. In 1924 Alexander McRae, grandson of Mary McRae, was prosecuted for illicitly distilling whiskey and fined £100. Undeterred he continued to make whiskey until his death in the 1970’s. Illegal distilling of whiskey continued into the 1950’s when the last moonshiner was prosecuted. I was interested in the origins of the word moonshine, it was used to describe activities done by moon light, usually illegally. 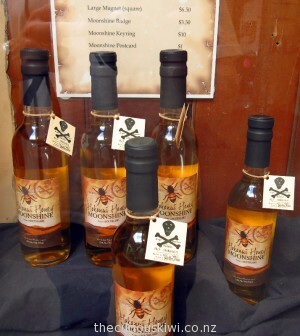 Moonshine also refers to potent distilled spirits, and usually involves tax evasion. As far as the McRae’s were concerned they weren’t doing anything wrong, this stems from the fact that distilling whiskey without paying tax was a tradition in Scotland until 1660. When the kingdoms of England and Scotland combined, the English imposed an excise tax on alcohol, a tax the Scots believed they shouldn’t have to pay. This drove the whiskey making tradition underground, a practice continued by the McRae family when they settled near the Hokonui Hills. Mary McRae died in 1911 at the age of 93, she credited her long and healthy life to her daily dram of whiskey. If you think Mary may be onto something you can take some Hokonui home with you, made from a recipe passed down by the McRae family, and sold legally these days. 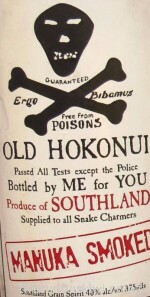 Hokonui Moonshine Museum is at 16 Hokonui Drive. The Gore Historical Museum is in the same building, I was really interested in the moonshine history so spent until closing time reading all the information boards and didn’t make it to the general historical side. If your travelling companions aren’t interested in history, the Eastern Southland Gallery is across the road. 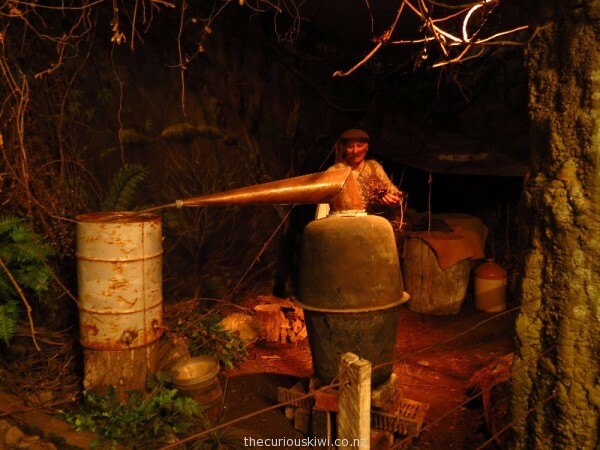 This entry was posted in Eats & Drinks, Southland, Twelve Dollar Attractions, Unusual New Zealand and tagged Hokonui Moonshine Museum, whiskey by thecuriouskiwi. Bookmark the permalink. As I am married to a Mcrae I have found it most informative she often talked about her great uncles from Hokanui and there whiskey ways . I was fascinated by the moonshine story and bought a miniature bottle of Old Hokonui which sits on my kitchen windowsill. It would be so interesting hearing about those ‘whisky ways’, and I agree, it’s great that the stories and the whiskey live on in Gore.